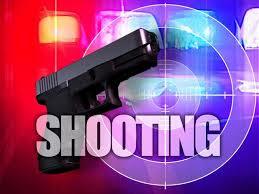 On Friday, Feb. 8 shortly after 11 p.m. the Natchitoches Police Department responded to the Raising Cane’s Chicken Fingers Restaurant located on Keyser Ave. in reference to a large fight in progress in which shots had been reported fired. Units from the police department immediately responded discovering a male subject lying on the ground unconscious as a result of a physical altercation. The male subject was later transported to Natchitoches Regional Medical Center to seek treatment. The police department was then alerted of a male subject, Quasey Washington, 18, who had been shot in the foot during the altercation at the restaurant. Washington advised authorities that while he and a friend attempted to flee the scene of the altercation he was struck in the foot by a bullet. This investigation remains under current investigation, however, the Natchitoches Police Department is urging any citizen with information in reference to this shooting to contact them directly at (318) 352-8101 or Detective Commander Jeff Townson at (318) 357-3852. All calls shall be kept confidential.